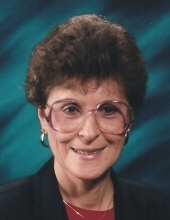 Diane C. Ruhland, age 84, was born to Eternal Life on Monday, January 28, 2019 at AGRACE Hospice Care in Fitchburg, WI, following a long and courageous battle with Parkinson’s Disease. She was born on August 9, 1934 in Plain, WI, the daughter of Alois and Christina (Schwartz) Ruhland. Diane earned her Bachelor’s Degree in Education from the Dominican College of Racine, and her Master’s Degree from the Roman Catholic University of Detroit Mercy. Diane was a caring and dedicated teacher for 40 years. She taught in Kenosha, Detroit, Little Chute and Racine and was a Principal for 9 years. She subsequently taught in the South Milwaukee Public School System, retiring from Blakewood Elementary School after 22 years. Six months ago she moved from West Allis to Verona, WI, to be closer to her sister, Josephine, and her niece, Kimberly and husband, Michael Grosse and their daughters. Diane loved to travel. She cherished her frequent visits to family in Madison and Plain as well as her exciting cruises and trips to many countries with her friends. She was an avid Brewers fan who also enjoyed salmon fishing with her brother, attending symphony concerts, the theater, playing cards, “First Friday” dinners and weekly Bridge Club with her dear friends. She is survived by a brother, Louis (Faith) Ruhland of Kelso, WA, a sister in law, Luena Meister of Plain, WI, and many nieces, nephews, other relatives and friends. She is preceded in death by her parents, Alois and Christina Ruhland, 4 sisters, Florence (Dave) Hogan, Irma (Wally) Haas, Bernadine (Cyril) Volk, Josephine (Walter) Dyke, 3 brothers, Edward (Lucy), Charles and Daniel Ruhland, and a sister in law, Edith Ruhland. A Celebration of Life service will be held at 10:30 AM on Friday, February 15, 2019 at the Richardson Stafford Funeral Home in Spring Green, WI. Fr. John Silva will officiate, with burial at St Luke’s Cemetery in Plain. In lieu of flowers, memorials may be made to Wisconsin Parkinson’s Association or AGRACE Hospice Care, Fitchburg, WI. Online condolences available at www.staffordfuneralhomes.com. The Richardson-Stafford Funeral Home is assisting the family with the arrangements. "Email Address" would like to share the life celebration of Diane Celine Ruhland. Click on the "link" to go to share a favorite memory or leave a condolence message for the family.